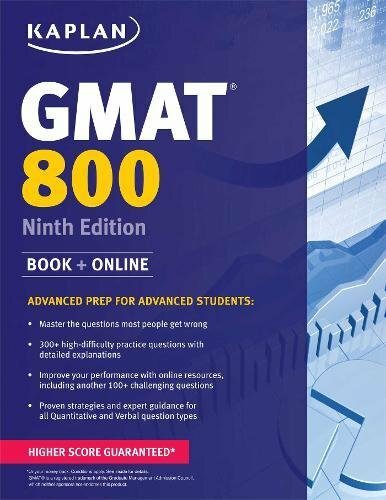 Developed specifically for students aiming to score above the 90th percentile, Kaplan's GMAT 800 provides the prep you need to get the high score you want. The average GMAT score for students admitted to the top 10 business schools is nearly 720, and those top schools only accept about 15 percent of applicants. GMAT 800 can help you score higher and give you application a boost with advanced practice, focused review, and expert strategies.